Do you dream of mastering the art of cooking and being a part of the culinary industry? 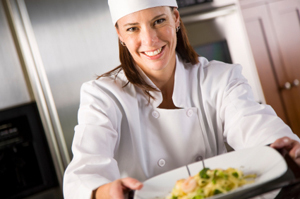 Gaining an education in the culinary arts can open up possibilities you've never dreamed of. Do you wonder what it would be like to be a baker, a chef of your own trendy restaurant, a sous-chef or a pastry chef? Selecting the culinary school that is right for you is the first step to realizing your dream in the world of cooking. There are many different culinary & cooking schools to choose from and Trade School Advisor is here to help you select the right one for you. Get on the path to a culinary education leading you straight to being the master chef of your own kitchen! I am sorry there are no "Culinary/Hospitality" Schools at this time.